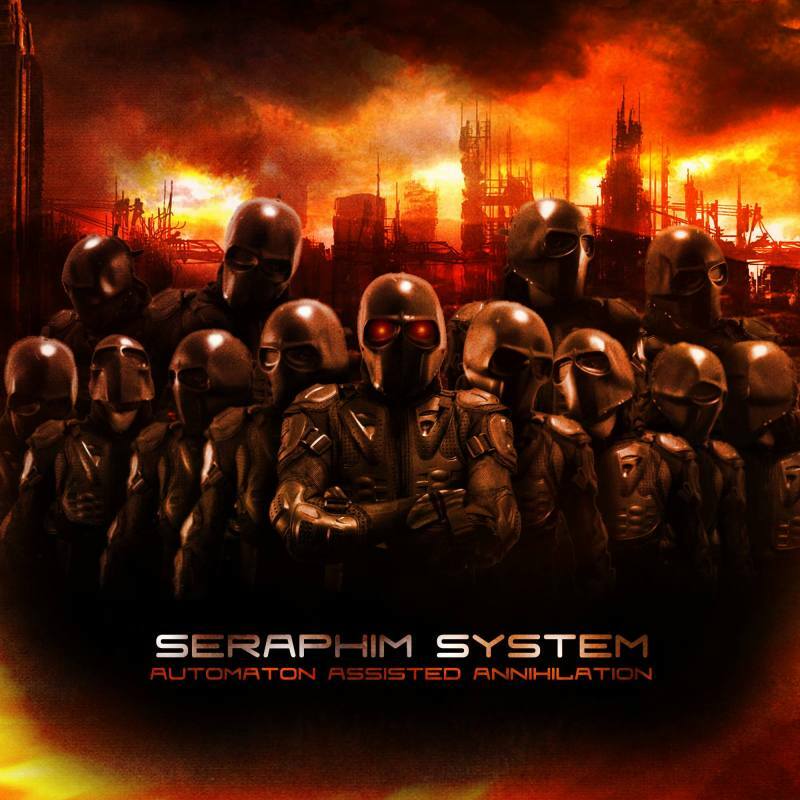 A maelstrom of industrial, drum’n’bass, dubstep and even elements of metal – while in terms of lyrics, songtitles and presentation focused on sci-fi – the universe of SERAPHIM SYSTEM is one where influences from industrial acts like Combichrist, Grendel and Noisuf-X merge smoothly with those from hip hop artists such as Immortal Technique, NWA and Public Enemy. Signed following a slew of impressive self-releases, official debut album for DWA “Deadly Force” (2015) and its subsequent singles brought Seraphim System international interest and an offer to open one day of the UK’s Resistanz Festival in 2016. The first edition of “Automaton Assisted Annihilation” on CD comes in 4-panel digipak and features an exclusive bonus section of remixes from CHAINREACTOR, SIRUS and ISZOLOSCOPE. Strictly limited to 300 copies worldwide!